For decades old Cartwright has been the office bully, a snoop and a henchman, so few at the paper mourn him when he is found rather messily dead. But to a burnt-out younger colleague, Owen Simmons, Cartwright bestows a back-handed legacy, forcing him to face up to the passion, heartbreak and regrets of his previous life as a foreign correspondent. 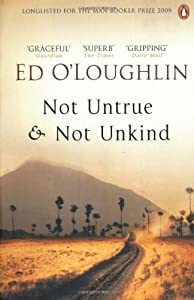 Not Untrue and Not Unkind is Owen’s story, a recollection of life and love amongst a transient group of friends and rivals reporting forgotten wars in Africa.